Rewards programs undeniably matter very much to Canadians. In fact, nearly half of the Canadians who switched credit cards last year did so in hopes of getting access to a program they liked better than the one they had. If you like the sound of getting extra cash for your normal everyday spending, the MBNA Smart Cash program could easily be the one that satisfies you. The MBNA Smart Cash program currently consists of two cards – the MBNA Smart Cash Platinum Plus MasterCard and its enhanced verstion, the MBNA Smart Cash World MasterCard. The two are very similar in most respects, but the World MasterCard comes with slightly better reward rates and benefits as well as a modest $39 monthly fee. It’s also somewhat harder to be approved for than the Platinum Plus version. It’s nice to have this upgrade option out there just in case you ever want to get a little more from your MBNA Smart Cash card, and it offers good value for the cost as well. Just because the upgraded version exists doesn’t mean everyone is better off choosing that one, however – the basic version is still a great card with fewer differences between it and its sister card than you might think it would have. Don’t just brush it aside in favour of the version with the annual fee, but give both some serious thought. It’s already been said, but the MBNA Smart Cash Platinum Plus MasterCard is the free card in the Smart Cash lineup. When you first get this card, you’ll be benefitting from the incredible introductory offer that the program is running right now. Buying gas and groceries with this card in the first few months that you have it will allow you to collect 5% cash back on all those purchases. This offer ends after just 6 months and is limited to your first $500 in spending, but it can still pay off handsomely and gives you those rewards for doing spending that you would presumably have done anyway. Once that bonus offer has ended, you’ll be eligible to receive 2% cash back on those product categories instead – still a sizable amount. The $500 a month limit still applies at this lower rate, but if nothing else, it should be easy to max that out. Everything you spend on food and gas after that will get you just 0.5% cash back, as will everything else you were buying the entire time. It should be clear to almost everyone that the rewards for this card are front-loaded into that bonus category allotment, but that’s not a bad thing considering how hard it would be to fail to spend quite a bit in those categories. You should also know that it doesn’t come with any additional benefits, although this is not uncommon with free cards. As we indicated above, the MBNA Smart Cash World MasterCard is an upgrade option that you can choose if the basic Smart Cash card wasn’t quite satisfying enough for you. For the $39 annual fee, you’ll enjoy a small boost in your reward rates. For the duration of the introductory period, you’ll still get 5% cash back on all your groceries and gas, again limited to your first $500 in monthly spending. After that period is over, you’ll again get the same 2% cash back in that category that the basic card offers, again for just the first $500 you spend. Where this improved card adds in its extra value is in its base reward rate, which is double the first version’s rate at 1%. It also adds in some car rental collision insurance to further justify the addition of the annual fee, and although this isn’t a huge benefit by any means, it’s still a nice additional touch to add more utility to the card. 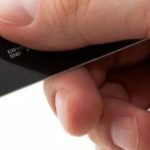 It’s something you should take into consideration if you really want to get more than just rewards and credit use from your card. We’ve talked about how great it is to get cash back rewards in general, but what is it about these cards specifcally that makes them stand apart from their competition? The main thing is that its bonus categories are perfect to let you reap heaps of reward cash without asking you to spend too much on things you wouldn’t necessarily buy otherwise. Everyone buys gas and groceries, and most of the time, they spend quite a bit on those items out of necessity. By offering such a generous reward rate for these kinds of purchases, the Smart Cash program ensures that everyone will be able to get a lot out of their credit card rewards. Even the $500 cut-off is nice in its own way because it keeps people from feeling like they’ve missed out if they do not continue to spend in spite of hitting the limits of their budget. While it would obviously also be great to get unlimited bonus rewards, the way they stop coming in after a while is a welcome reminder to go easy on your spending and to keep things in your control. It’s always nice to get rewarded for spending money on necessities, especially as the cost of those necessities keeps rising every year. These rewards could easily help you to defray some of those costs and continue to purchase all of the things you need without having to cut back on anything. Even just that little boost in income can make a huge difference in someone’s quality of life, and that’s an important part of what keeps people going. Entry-level cash back credit cards are some of the most universally appealing card options around. Either of the MBNA Smart Cash cards would make a good addition to most Canadians’ wallets. If you’re thinking about applying for one, remember that it can be as easy as answering a few questions on our website.